The 6th European Scout Symposium is an important event in the life of the European Scout Region when it looks back on what was achieved in the triennium, on what is hoped to be achieved by the end of the tirennium, on what needs to change and on what will be done in future triennia. The Symposium 2015 will help set the agenda for work leading to the development of the Regional Scout Plan for the period 2016 and beyond. 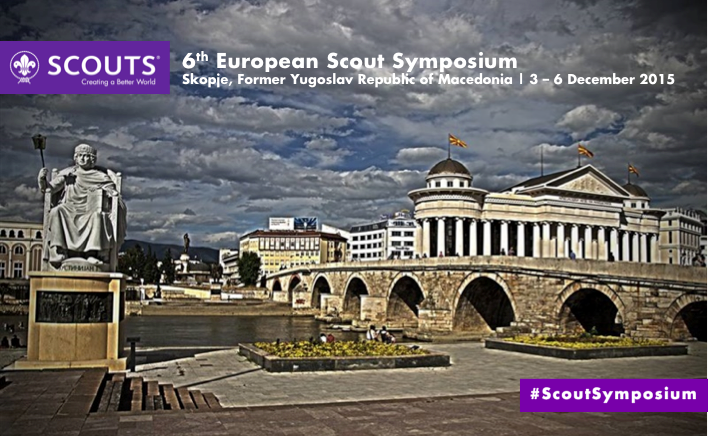 In order to maximise the time before the next European Scout Conference (June 2016 in Norway) and taking into account existing commitments, the event is planned to take place in Skopje, capital of the Former Yugoslav Republic of Macedonia, between 3 and 6 December 2015. In order to apply as participant please complete the online registration form before 30 October 2015!